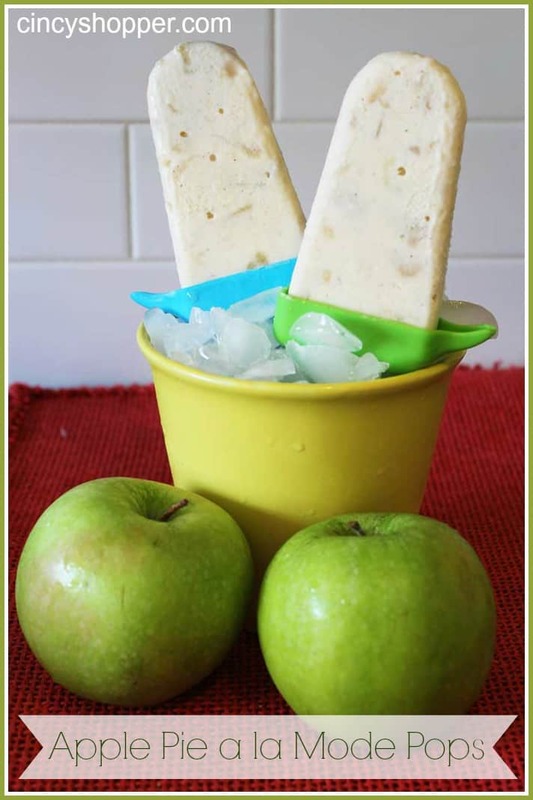 Yum, this new Summer Treats on the Cheap Apple Pie a la Mode Pops recipe is one for mom and dad. 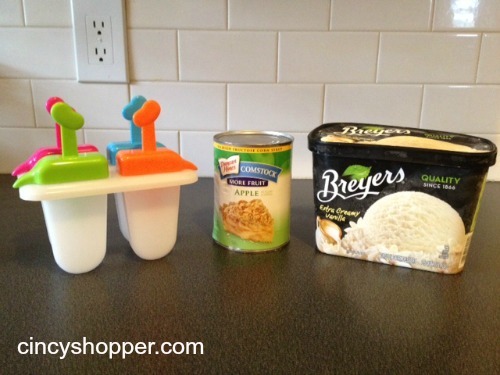 When I was younger we use to throw together all kinds of items in our ice cream for a new creation. This week I had some apple pie filling in the pantry I had been eyeballing. I also have so much ice cream in the freezer from all these ice cream sales we have scored. So I whipped up a new cold treat for hubby and I and thought I would share it with all of you as it came out so tasty! I think this will become a favorite for anytime of year not just for summer. Grab a mixing bowl and toss in some Apple Pie filling (I used a little less than a half can) and be sure to dice the apple pieces smaller in size. Then add some Vanilla Ice Cream that has been sitting out for about 10 minutes to soften. After mixing together for a creamy whip type consistency place in Popsicle molds and freeze for a few hours (I put mine in over night). My kids had their hands all over these and loved them too! My bowl made about 6 pops. Add some Vanilla Ice Cream that has been sitting out for about 10 minutes to soften. After mixing together for a creamy whip type consistency place in Popsicle molds and freeze for a few hours (I put mine in over night).